2019 – the year of social innovation policy? 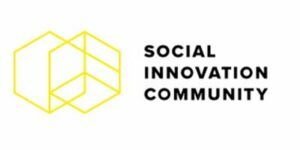 2019 will be a critical year for social innovation policy in Europe. In May the European elections will take place. The kinds of MEPs (Member of the European Parliament ) we the people of Europe elect (and the values they hold) will set the direction of Europe’s future policy agenda, and the extent to which social priorities – and support for social innovation – remain on the table. This is also the period when the current European Commission as we know it will wind down and a new administrative cycle will begin in late Autumn. 2019 could indeed be the European year of social innovation policy. For this reason, the European social innovation community needs you. 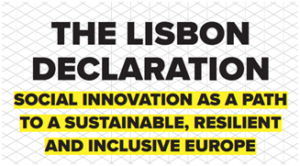 Ensuring the high-level commitments received so far are translated into real policy change (that reflect our needs, vision and values), will mean that Europe’s social innovation community must mobilise. Help us gain wider national and regional support for the #SIDeclaration. Petition your MEPs / MEP candidates. Continue to grow and expand the Social Innovation community. Social Innovation Community would love to hear any ideas you may have about how we can use the Declaration to support the community to make an even bigger social impact in 2019. Get in touch with Social Innovation Community and use our Twitter hashtag #SIDeclaration to stay up to date on news.